We were looking for a tasty, but easy to make dish so we started looking through the Simple Recipes for Joy cookbook. Inside, you find a bunch of easy, but tasty meals. The Pasta with Pesto seemed easy enough so we gave it a go. The pesto turned out to be very good. 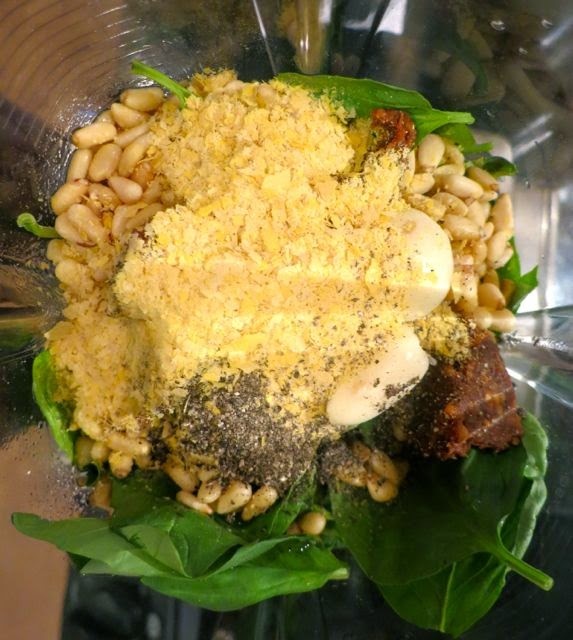 You just put fresh basil, pine nuts, olive oil, miso, lemon juice, nutritional yeast, garlic, and pepper in a blender and voila! you have fresh pesto. It coated the fusilli noodles really well. I'd recommend it for a quick, easy dinner. 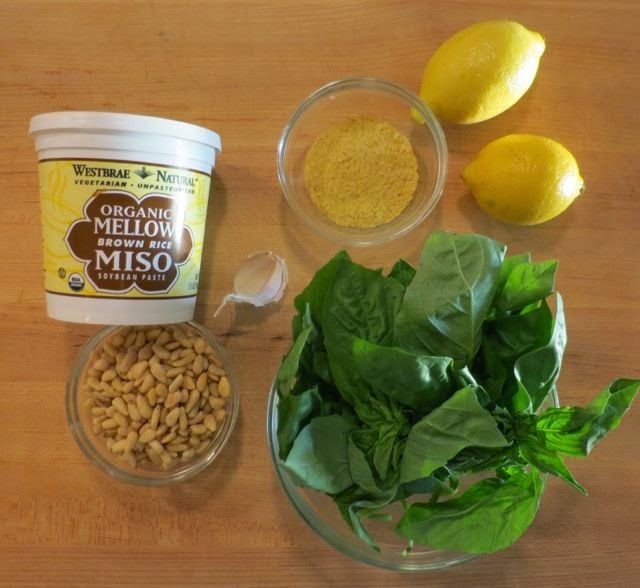 In a food processor, place the basil, pine nuts, olive oil, miso, lemon juice, nutritional yeast, garlic, vitamin C, and pepper and process. Do not overprocess as you want it to be slightly chunky. 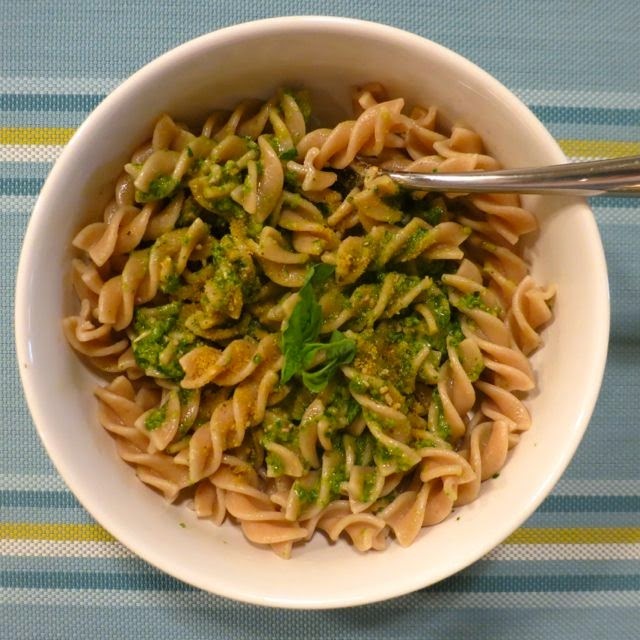 Stir the pesto into the hot pasta and serve.